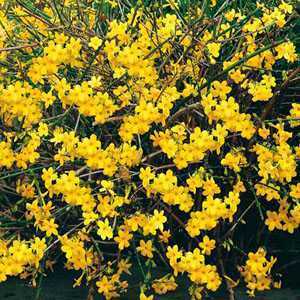 Jasminum Nudiflorum (Winter Flowering Jasmine) is a deciduous shrub. It is ideal for training up wires or fences. It has bright green stems that give the impression of being evergreen. In the winter months it is adorned with small bright yellow flowers.